Tech world consensus is that it would be a nightmare for Facebook if it got into the mobile hardware game. Surely there are better ways to make money in the mobile space. Wake up call, folks: people don’t click ads anymore. There has to be another way for Facebook to harness the power of mobile in a way that will make the company profitable for a long, long time. And guess what, that long, long time doesn’t include us, it includes those younger than us. That’s right, Facebook might be working on something that isn’t for you. How dare they. 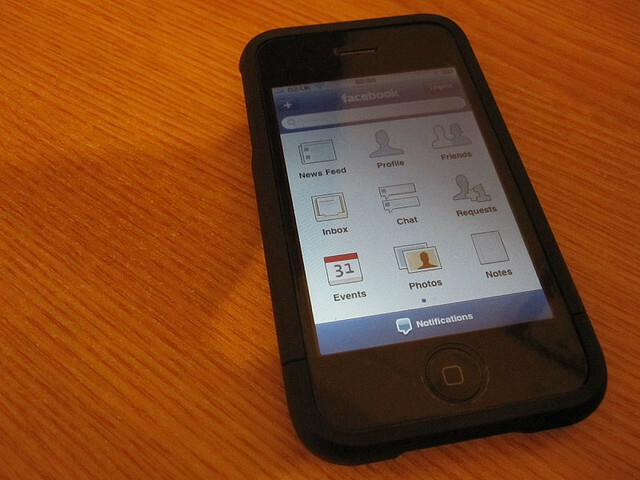 In all seriousness though, a Facebook phone, which has been rumored for quite some time now, could be one of the only ways for the company to not only control the experience of its mobile users, but properly iterate and hack out a better mobile experience overall. The Windows Phone, whether you carry one or not, took giant steps into making the mobile experience more social and cohesive. Facebook has had a chance to watch Apple, Google, and Microsoft put forth their best efforts in creating the best mobile experience. There is no other company more perfectly positioned to make something that could put a dent in each company other than Facebook. Why? It has a better platform on which to build on top of. While other companies are playing catchup to Facebook’s social graph by integrating new interactive experiences into their phone, the gigantic social network can simply turn the market on its ear by showing everyone how social is really done. You don’t get to 900M users by accident, and whether you think that its IPO was a failure or not, Facebook is in the driver’s seat. Google’s answer was to come up with its social glue, Google+. While I believe that this particular strategy has more to do with streamlining all of its products than competing with Facebook, it still wants to own your social experience to some degree. For Apple, its answer was to deeply integrate Twitter into iOS and leave Facebook out of the equation entirely. The future is clearly bright for Facebook, and you can’t talk about the future without talking about future generations. That means that kids, or teens, that are using Facebook right now will want to use Facebook even more, as it replaces their current phone’s contact list for social connections. Who better to drive that experience than Facebook? Let’s talk about the future of other products, like music. Apple has iTunes, where it has made a load of money selling music. Facebook on the other hand has deep ties to a service called Spotify, and could easily find a way to monetize the product or bake it into its own phone for cash considerations. Remember Apple’s Ping product? How’d that do for them? Facebook and Spotify have been giving Apple fits since the day they started working together. By keeping all your actions tied to your Facebook account, you are building your taste graph in the cloud. All of your likes, dislikes, interests, historical information, it’s all stored on Facebook. That’s information that you want to keep with you, always. No better way to do that than to interact with it through an operating system built specifically for a Facebook phone. In many ways, Facebook is already an operating system, albeit a social one. By having a phone that allows you to do the things you do daily, take pictures, shoot videos, call friends, and have it all feed back to Facebook’s main database, your experience will get better over time as it learns more about you. That scenario is bad news for Apple, Google, and Microsoft. You might not buy the Facebook phone, but your kids definitely will. Why? Because their whole life is already wrapped up into Facebook while we’re still fragmented all over the web. In a way, younger generations are more evolved on the Internet than we are.